Did you know the phrase ‘Running Amok’ meaning a person is out of control, usually in a specific space or environment, creating chaos, came from the word Amuk or Mengamuk in Indonesian/Malay? I found this out from a book I just read titled ‘It is all in your head, stories from the frontline of Psychosomatic illness‘ by Suzanne O’Sullivan. 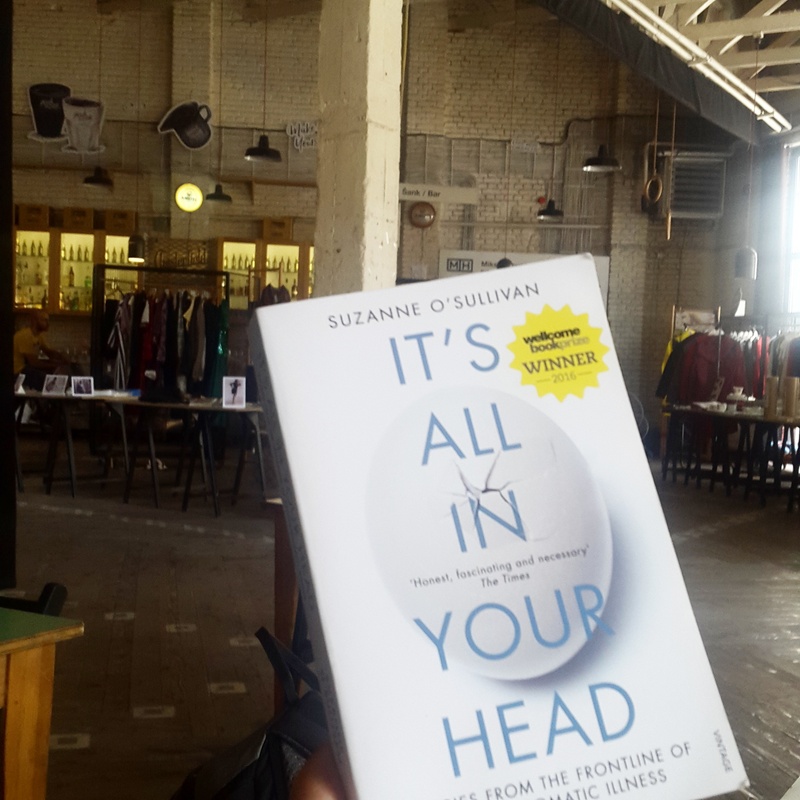 Before I read this book, all I know about the term Psychosomatic, is when you feel that you are hurting when actually it doesn’t hurt at all, because you want to believe that you are hurting, that you yourself make up the illness. You know that time when you feel when you are going for a jab at the doctors, you hate it so much, that you feel the pain is so great, when is actually just like a tiny pinch. The saying here for this kind of situation in the UK is ‘It is all (just) in your head’. That actually if you want to, you can control your thoughts and turn it around it would not hurt as much. It turns out, that psychosomatic illness are as real as the other illness human get. People do feel the pain, whatever you may say, they are feeling it. The way Dr. O’Sullivan describes it, it is the way your body reacts to a certain feeling you may have, that your thoughts can’t really control, and has not been caused by a disease, a break in your nerves system, or interference from external things, like crying, or blushing when you are embarrassed or when your heart beats faster when you are in love. These things happens to a healthy person. Like tears are suppose to clear your eyes from external objects or irritation. Why then, when your eyes are healthy, you produce tears, and cry, only because you are sad? Unfortunately for some people their body can react so differently from others for the feelings they are having. Some even not seeing the problem themselves, their brain chooses to disassociate themselves from the psychological pain or extreme stress they are having. The result of these extreme cases that she describes can include people being paralysed, not being able to move at all or the other quite common illness is to have fits not too dissimilar to epileptic attacks. So similar, that even doctors (mostly juniors) are known to diagnosed it as epileptic. But, when it is analysed thoroughly, there is physically nothing wrong with their nerves, that epileptic people have. Not to say that these people with psychosomatic illness can actually help it themselves, they certainly need help but not the medical one, more of psychological one. They are still an illness, people are still suffering. The book is her experiences with a few patients, interwoven with history of psychology and research facts. Most of the patients she sees, struggled after being to a lot of doctors and specialists trying to find physical proof of what causes them to suffer. Why are they paralysed when their bones and nerves are ‘healthy’? Why are they blind when the doctors can’t find any defects in their eyes? They find it hard to believe that the only suggestion doctors gave is of going to see the psychiatrist or psychologist, because they didn’t want to be considered ‘crazy’ or that ‘they are making it up’, there must be what they considered ‘real’ factors. But emotional stress is real, depression is real, whether they want to acknowledge it or not, even their bodies are acknowledging the pain. We all know emotional scars can be more damaging than physical ones, it effects people and their entire lives, so why are they not real? The doctor made a point that society needs to change the way they considers psychological problems or mental illness, so that people don’t feel that it is not ok to have these sort of problems. I think, this view of it not being real in the UK, is because the Brits have this cultural thing about emotion:Don’t ever show it, they feel uncomfortable and awkward when people talk about emotion. See: the very British Problems. Also they are quite pragmatic, believe that people can control their brain, so ‘why can’t they just snap out of it?’ is the general view, which is probably why the patients themselves try to disassociates themselves with the pain, they think the have ‘dealt with it’. In Indonesia, on the other hand, not only people tend to austracised those with psychological problem, what is even more worrying is people tends to go to shammans rather than to the doctors even, let alone psychologist, to solve their ‘unexplained problem’. Indonesian relationship with the mystical world are still strong. Why a man is going berserk? Ah, because a ghost/spirit entered them, ‘ kemasukan setan’. It is a more plausible ‘reason’ for Indonesians that the reason why someone ‘Run amok’ or mengamuk and kill someone, is that there is a tiger spirit that enters their body, instead of them having psychological problem/stress, hence the hysteria. In her discussion about people tendencies to view the problem, she talked about different studies that has been done, she said that most historical study of hysteria came from studying western world, the other known studies outside europe at the time were about amok. 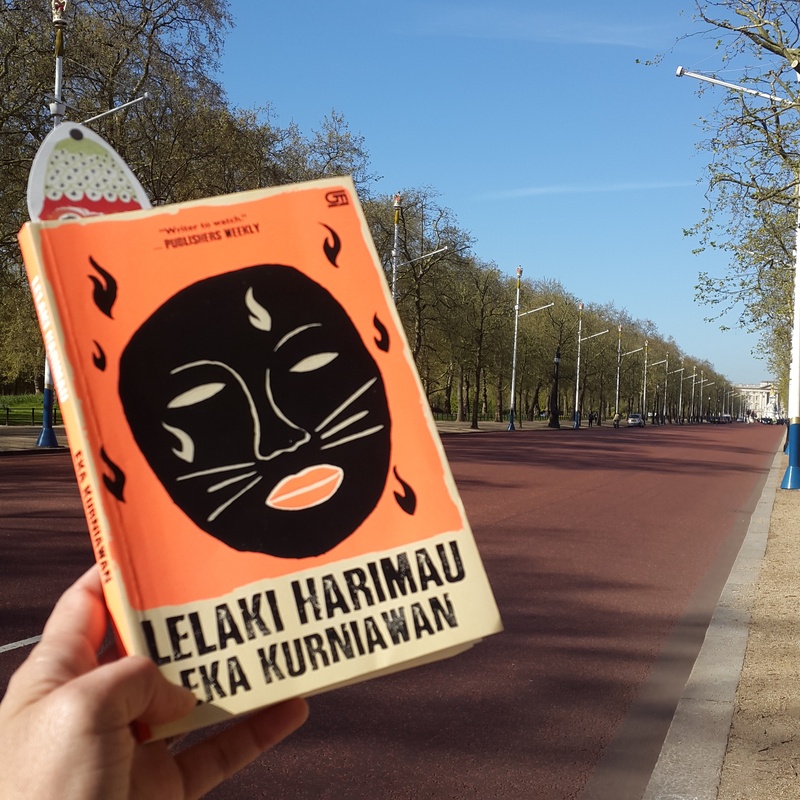 It reminded me of the book I read a few weeks prior to this one, Lelaki Harimau or Man Tiger by Eka Kurniawan. When I read this book then, I find it a very easy to read fiction, where the end is at the beginnning of the the book. When I read this book then, I find it a very easy to read fiction, where the end is at the beginnning of the the book. The story start when there is a murder in a village in Indonesia where everyone knows everyone. Questioned about the murder, the murderer said that his white tiger entered him and did it. When I read it then, it wasn’t a shocking discovery to me, I didn’t even find it that intriguing, I took it as a common believe. Which I know non-Indonesian reader found most interesting about the book is the mysticism around the story in the book. I remember when I was growing up besides stories of ghosts and spirits, friends also share stories about people’s mythical abilities or ‘strength’ that they gain by numerous avenue usually linked with genies. Not the friendly Genie in the bottle/oil lamp, these are the gennies that you obtain by either making a lot of offerings of either of your soul or your usual goats and other preferred sacrifices, or through inheritance. They say that some of the strongest of them all would have a white tiger spirit, to do your fighting or any other mostly unwanted deed. The funny thing is they call this people either Sakti or Pintar, whilst sakti means supranatural super power, pintar means clever. Anyway back to the book, sure I wanted to know why the tiger entered him or the reason behind his action, but I never once thought of it is a psychological problem. To me, I took it as face value as mystical thing, a sort of Indonesian mystical fiction. Retrospectively the book did describe a deep psychological trauma of a man. He ran amok. I am sure a lot of you reader out there are much more clever than I am have got it from the beginning. Do let me know if you did, and at which moment you thought that. I really want to read the English version and am really curios to find out whether or not the term running amok was used. Have you read the book in English? if you have do let me know ? Just on Psychosomatic, what do you think? Wow these are such great insights. I haven’t read the book but I’m so intrigued now that I’m gonna buy it for my next read. And I agree with you that many Indonesians still associate unexplained or abnormal situations with something mystical. I’m wondering how many people who suffer psychological illness are left without proper treatment as they choose to go to shammans instead. I think more effort should be put to raise awareness of mental health here, it might help a lot of people who maybe are too afraid or ashamed to treat this kind of problems. Ah thank you Dixie. I only just realised it after I read the other book. It was weird how it linked with each other. Yes it would be interesting to find out more about mental illness and important to understand better people with mental health. That is quite good if the library to has Man Tiger in their collection. I look forward to your thoughts on the book. I think as an Indonesian we can never get away from that ‘percaya atau gak percaya’ believe it or not. It is really hard to noy think that way. I think having psychosomatic doesn’t mean you can’t be logical. I am natural psychosomatic when my asthma is worst when I am unhappy. you’re right, it doesn’t mean we can’t be logical. i only meant being logical in accordance to the superstitious things i used to believe in, sorry for not being clear. 😀 i wonder if getting migraines and fever when i’m stressed is also one symptom of psychosomatic or is it more of a common reaction from strained muscle etc.? oh, btw, the library here also have the Beauty is a Wound book in English by the same author. 😉 i love our library! Aaah…that is good to know. 🙂 Maybe I think people’s understanding and takes from books can be different, right? My take was different because I have just finished reading the other book on psychology, hahahah! Apparently at Ubud writers fest Eka said that he intended for manusia harimau to be a crime fiction, not necessarily magical realism. So who knows… 😆 did you enjoy the book? OMG, ternyata saya bukan satu satunya! hahaha. No, don’t feel stupid, I think it is because we have this preconceived knowledge as Indonesian. Also, I am not sure whether I view it correctly, maybe I am totally wrong about the pyschological thing. But I think we can just take it as is.